Meet in the middle with this style that's a combination of both traditional and contemporary elements. 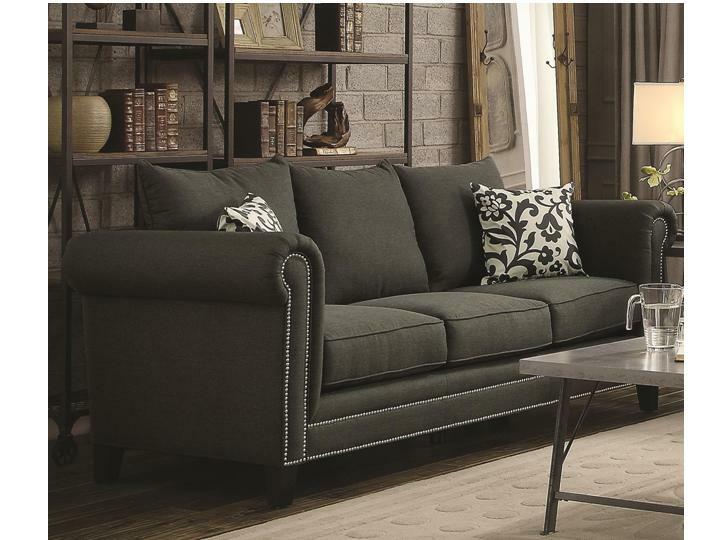 Rolled arms and nailheads add sophistication to this piece, while clean lines and a contemporary color scheme keep this sofa looking chic and fashion-forward. Includes two, flower-printed toss pillows.